Doc Takes His Pick On The Soweto Derby! Do You Agree? 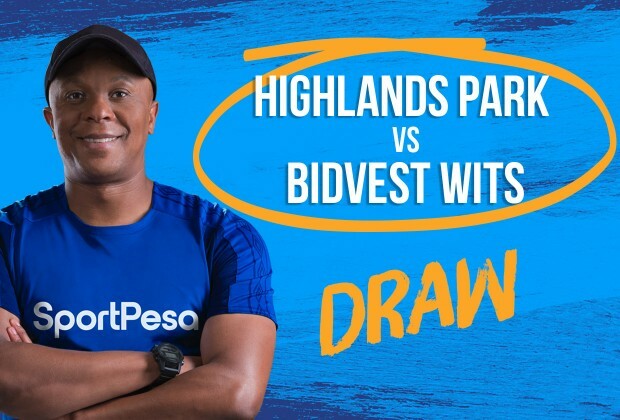 PSL log leaders, Bidvest Wits will be traveling away this weekend as they take on a Highlands Park side that are not easy to beat on their home turf. It will be a tough battle for the Students as they look to stretch their lead at the top of the table. While, on Saturday, the match that will draw most of the supporters attention is the Soweto Derby between Kaizer Chiefs and Orlando Pirates. Who does SportPesa ambassador, Doctor Khumalo think will walk away with three points and bragging rights in the bag? Check it out! Highlands have not been an easy team to play in their own backyard. Mamelodi Sundowns are the only team to have come out of Makhulong stadium with all points in the last five games or so. Sundowns didn’t have it easy although they capitalised on mistakes committed by their opponents. With Wits wanting to collect maximum points and widen the gap between them and the chasing pack, I don’t think they will be waiting for anyone to do them any favours. This game has all the signs of finishing with both teams sharing the spoils, so I predict a draw. Here we go again! A Soweto derby will always be an unpredictable game. Yes Pirates have had an upper-hand in their last few games, dominating Chiefs, and it has been a long time since they lost to Chiefs. I would like to believe that, with the new technical team at Naturena, Chiefs seem to be a different outfit. The unfortunate situation is that, while they managed to solve the problems on the bench, the problems seem to have moved to inside the field with a number of their players injured. That is a hiccup that jeopardises the tactical approach. They are limited in terms of depth but, with a new technical team, Chiefs might do enough to secure a draw. After watching Pirates playing so well against one of the best teams in the continent, Esperance, and the changes at Chiefs, I predict a draw. I still believe that it hasn’t really sunk in that Cristiano Ronaldo is no longer at Madrid. That teams hasn’t been the same since he left. Having said that, Real have been enjoying a good run in this derby and I think they will win this one as well. I really don’t know what’s going on at Chelsea, they just don’t seem able to pull it off despite everything at their disposal. City are unbelievable at home and I will go for them in this one.